Some of the islands are archipelagos comprising smaller islands and islets. In this blog post, you will gain knowledge about some of the lesser-known African Islands which don’t mean they are off the radar of island lovers. True seafarers don’t ignore even a tiny island or cay. Lesser-known islands are usually less-visited that implies less crowded. Do you know that less-crowded islands can be excellent hideaways? You will have all of the sea and the beach to yourself or share with a handful of tourists only. Comoros Islands is an archipelago comprising smaller islands, most of which are volcanic. The Comoros islands are located on the Indian Ocean. You must have heard of an African country named Mozambique. The Comoros archipelago is off the Mozambique channel in south-east Africa. To its north-west is the exotic Madagascar Island, one of the top visited African Islands in the world mainly for its flora and fauna. The islands of Comoros Archipelago are listed below. Every one of these African Islands of Comoros possesses one more name. That’s really odd-eh? Grande Comore is one of the African Islands in Comoros archipelago. Its capital is Moroni. The Grande Comore Island is the largest island belonging to the Comoros group of islands. This island is also of volcanic in nature. 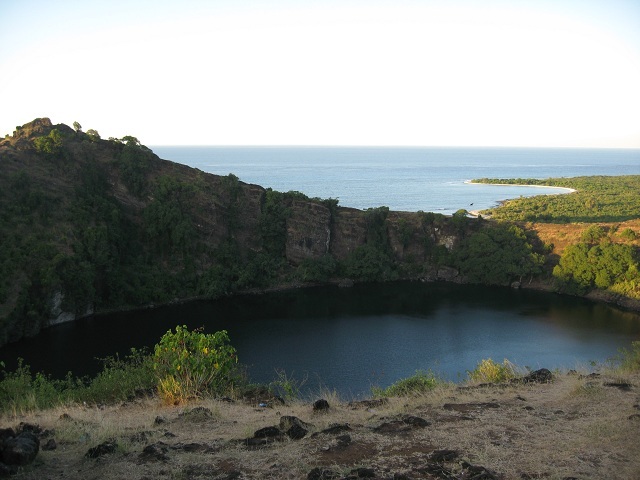 Look at this crater below created by a volcanic eruption. The second island of Comoros archipelago is called Anjouan. Oh yes, it’s another name is Ndzuwani. Mohéli is the third island of the Comoros Islands. The alternative name is Mwali. Grande-Terre that is also called Mahori is an island that belongs to France as one of the islands of French overseas department. The Comoros islands are great island getaways because of its remote location on the Indian Ocean. Enjoy the solitude, soak in the sun while lying on one of the many beaches and make a hiking trip to Mount Karthala, an active volcano that is fairly big. You can reach the Comoros Islands by flight from Kenya, South Africa, and many more neighboring countries. The road-less Lamu Islands are not known much even to the island hoppers because of its location. 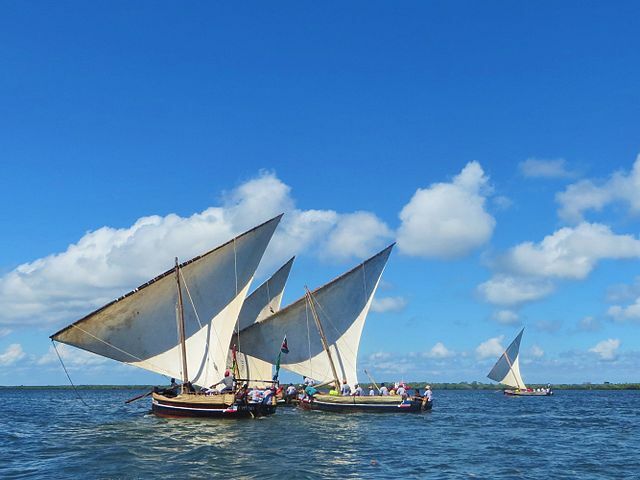 However, anthropologists love to go to the Lamu archipelago because of the presence of Swahili settlements. You can fly to Lamu Town from Nairobi or Mombasa cities of Kenya. It seems Kenya is too keen to act as the gateway many of the East African islands, safari grounds, and volcanic mountains. It is a fairly well-known island and attracts more tourists compared to the other lesser-known African Islands, especially the East African islands located on the Indian Ocean. The Reunion Island (what an odd name!) attracts adventure tourists with its active volcano called Piton de la Fournaise. Its crown is situated at a height of 8600 feet. People can be seen climbing this volcanic mountain all through the year. The volcano enthusiasts hike great heights to see the caldera of a dormant volcano Piton des Neiges. The Reunion Island is an island of French Overseas Territory. It is blessed with lush green rainforests, long hiking trails, and extensive beaches. 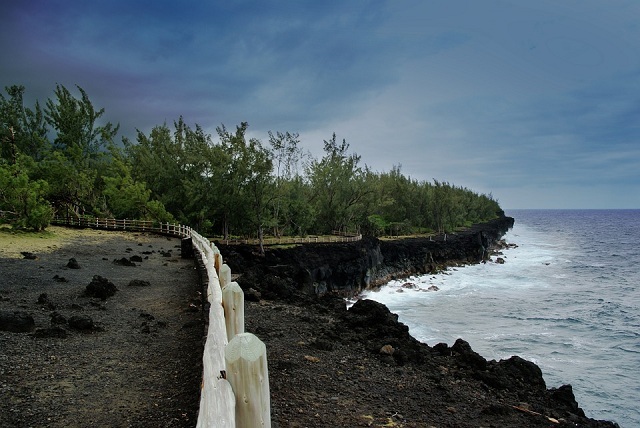 The capital of Reunion Island is Saint-Denis, a charming town with friendly native residents. Being a French Overseas Territory, you can naturally expect several planes operated from France. Kenya again being the gateway to islands on the Indian Ocean offer flights to Saint-Denis. 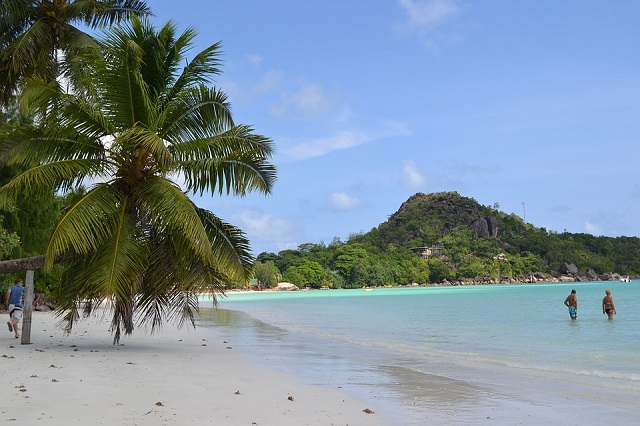 Praslin is an island that is part of the Seychelles archipelago comprising 115 islands. Seychelles’s remote location makes it all the more attractive to tourists who cannot suppress their urge to get lost (temporarily) in exotic islands. The Praslin Island is located on the Indian Ocean, to the east of Africa. The nearest African mainland Kenya is approximately 2000 km away! Yeah, this African Island is that remote, boss! 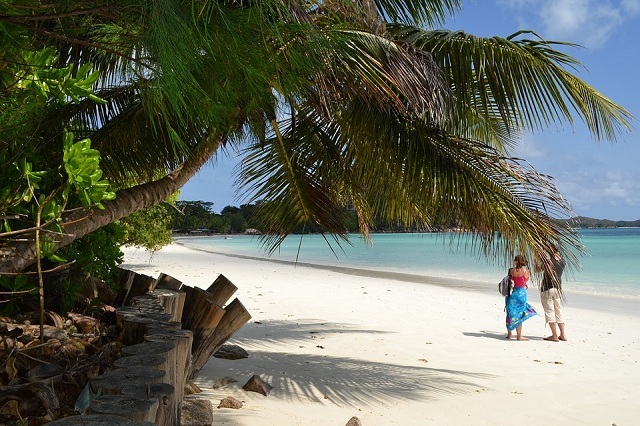 Praslin is a virgin island with unspoiled beaches that are decorated by palm trees. 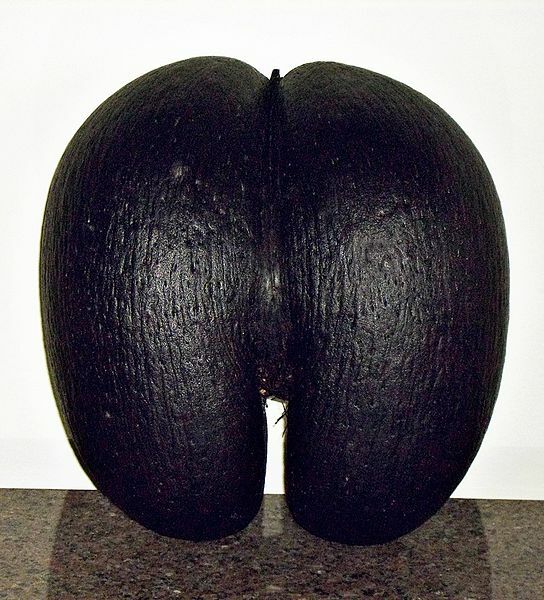 In this African island, you can see one of the world’s biggest seed called Coco der mer, a coconut that doesn’t appear all that beautiful but oh man, it is big! Next to the popular Madagascar island, Praslin in Seychelles is famous for bird watching. You should be extremely lucky to be doing this act of birding because you just could not have imagined the colors on birds in this part of the world. 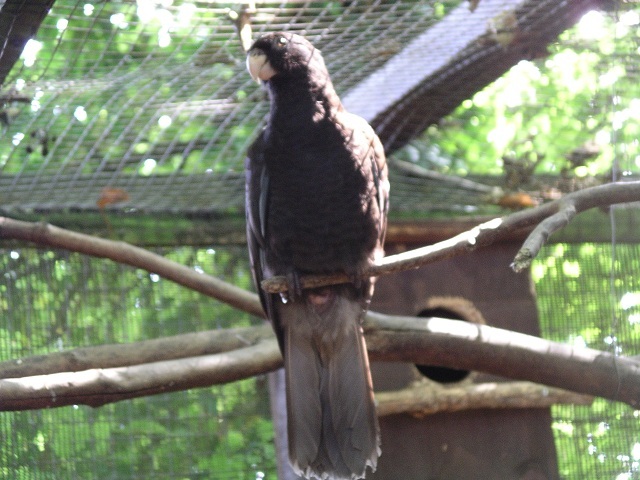 For example, how about Black Parrot? To see the huge coco der mer, you should visit the lush green Vallée de Mai Nature Preserve which also happens to be a UNESCO site. You can go to Praslin Island in Africa by hopping on to a plane operated from major African airports. Your first destination will be Mahe, a big island in Seychelles’s 115 islands. From Mahe, take another flight and fly just 15 minutes to reach Praslin Island. Alternatively, enjoy a speed ferry ride on the Indian Ocean. In just 45 minutes, you will reach the Praslin island. There are numerous smaller African Islands that are yet to get on the tourist map of world’s best cruise ship operators.